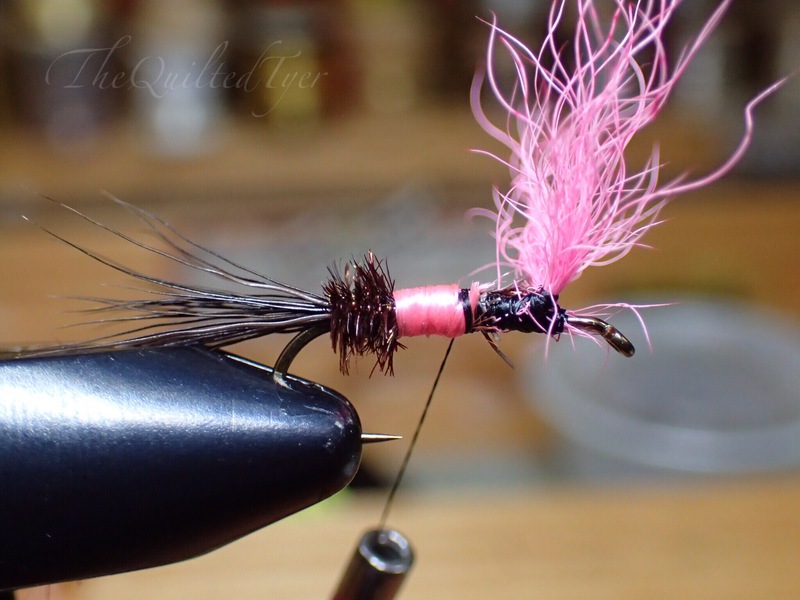 Floss is used to create bodies on many different patterns and once you get the hang of it, its actually a lot of fun to use. On the other hand, it doesn’t mean it’s easy to handle at first. Let’s take a quick look at how to make a body with floss, then we will get into trouble shooting and some of your questions and answers. 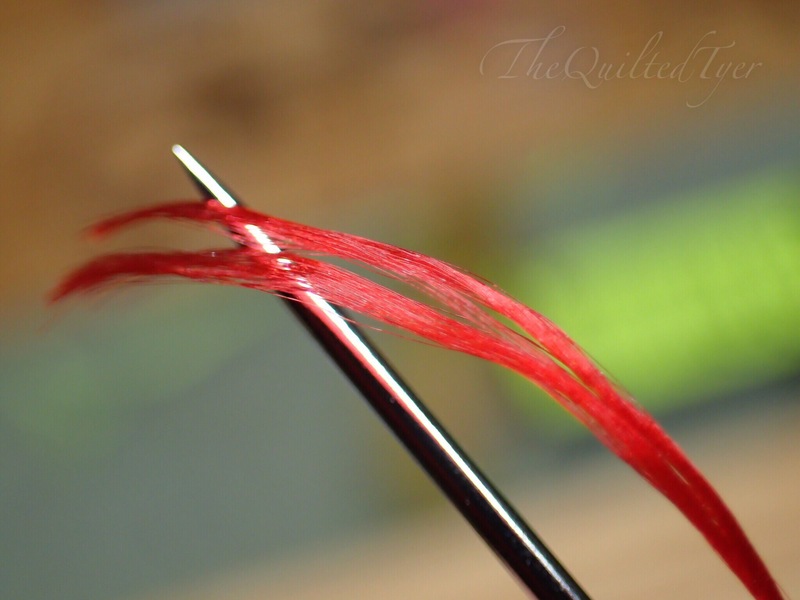 Bring that thread back forward, and begin wrapping the floss. If not, then maybe you were like me when I first started using this material, (and even sometimes now it still happens😂 even in this tutorial, how do you think I had gotten the ‘problem’ photos. those aren’t staged!).. in which case you may be in need of a little help. 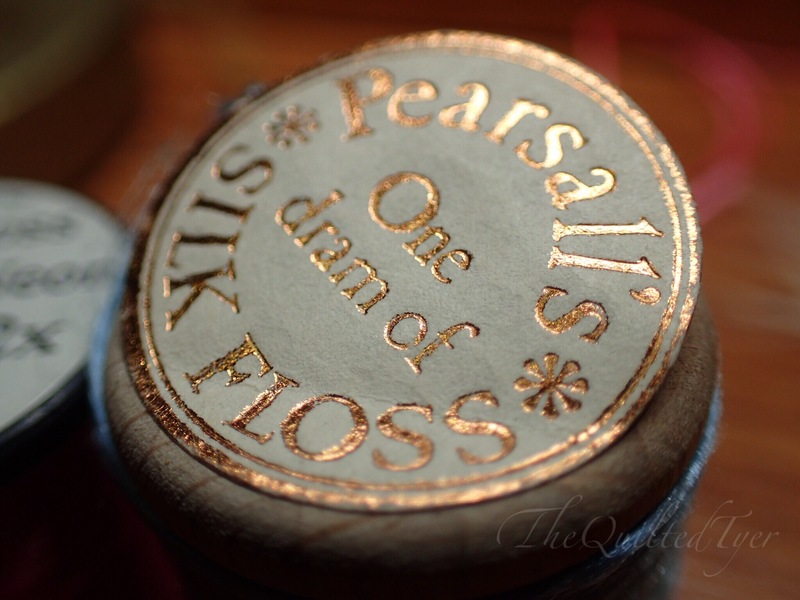 Now Before we get back into that, let’s take a quick look at floss and some tips you can use before you even get into that trouble. 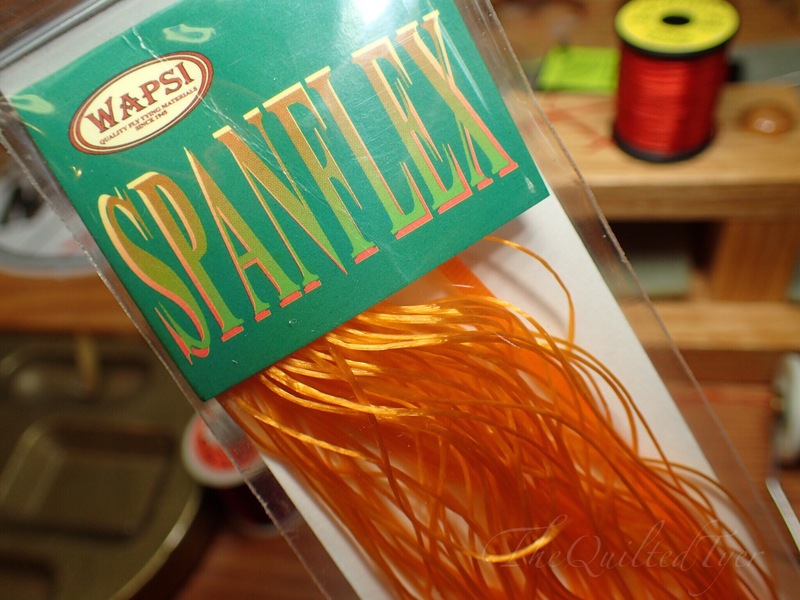 When working with floss take a look at the materials they are made of to decide whats better suited to your tying needs. 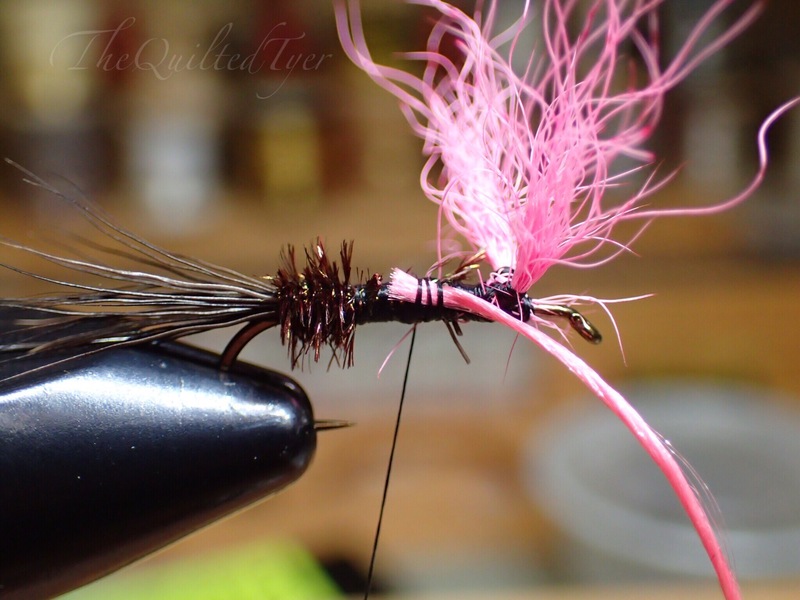 The silk floss above this something I use for wet flies. Both of these types work well but may not be so easy to find, and/or may be expensive. 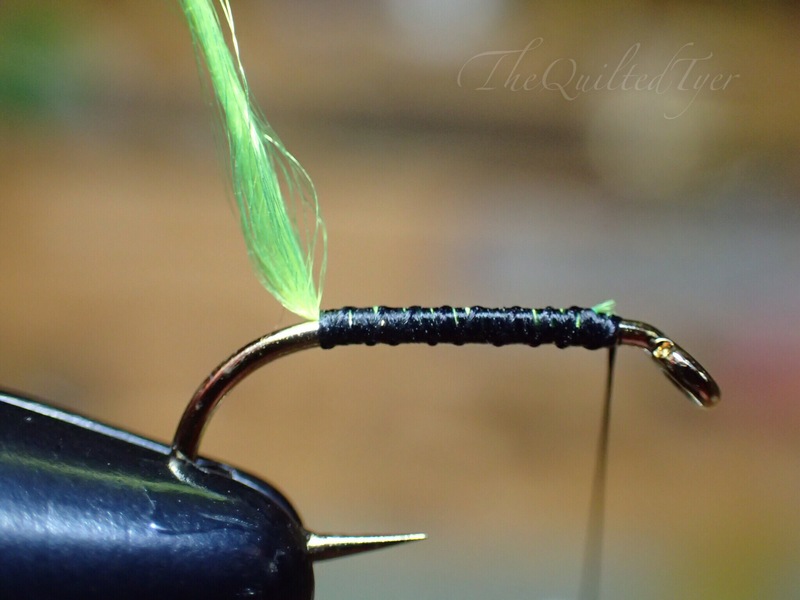 There is also a very cheap substitute for those of you tying small flies! 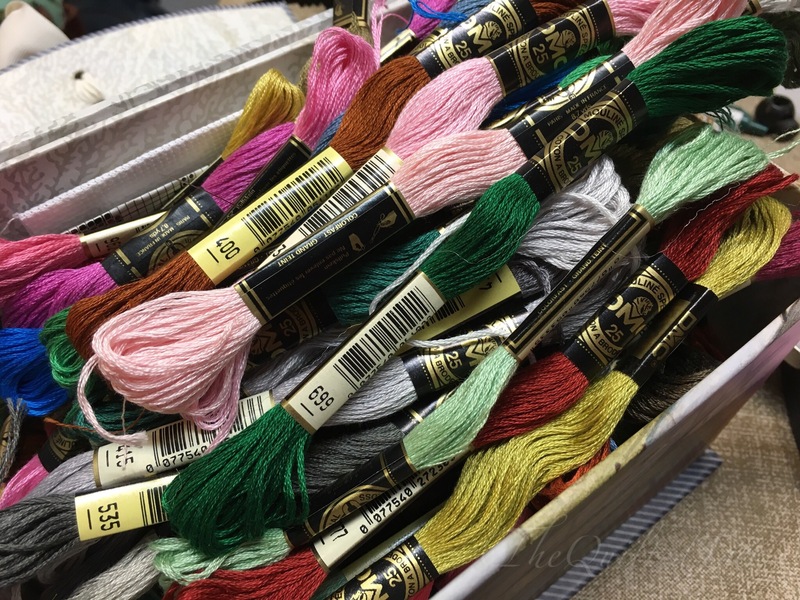 DMC embroidery floss. 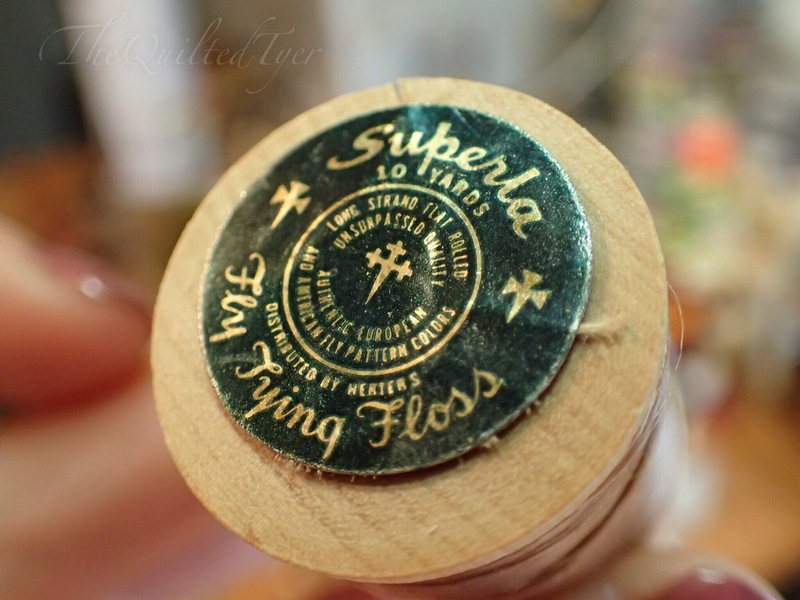 Its not the same as floss floss, but if you have a use for it then this is for you! I do alot of cross stitch and embroidery and recently found a whole box of them here for $2.00 in a thrift shop so look around. These can be picked up in some places for 25 cents! 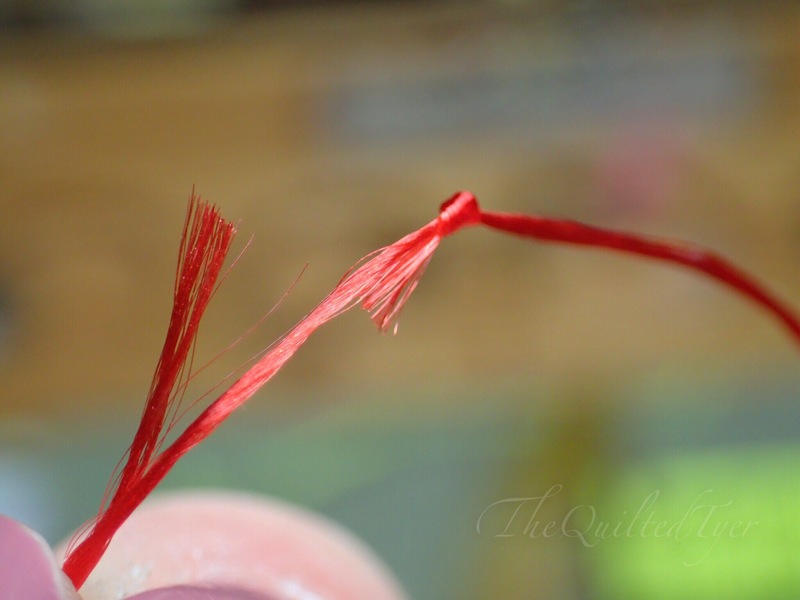 6 strand embroidery floss. I know walmart has great prices on these as well. But today for this tutorial we are going to work with Uni-Floss. 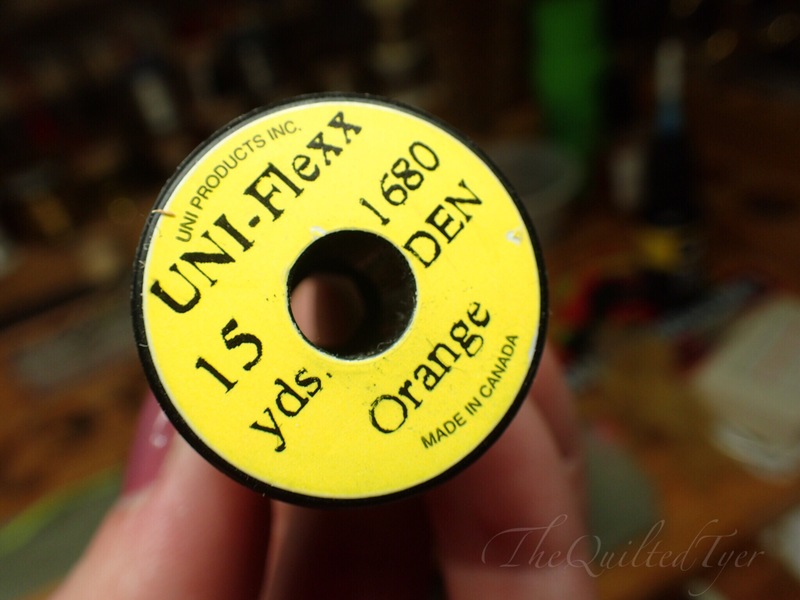 Uni floss is readily available for tyers and is a great and affordable floss that comes in a wide variety of colors and strand sizes. Strand relates to how many strands of floss are combined. 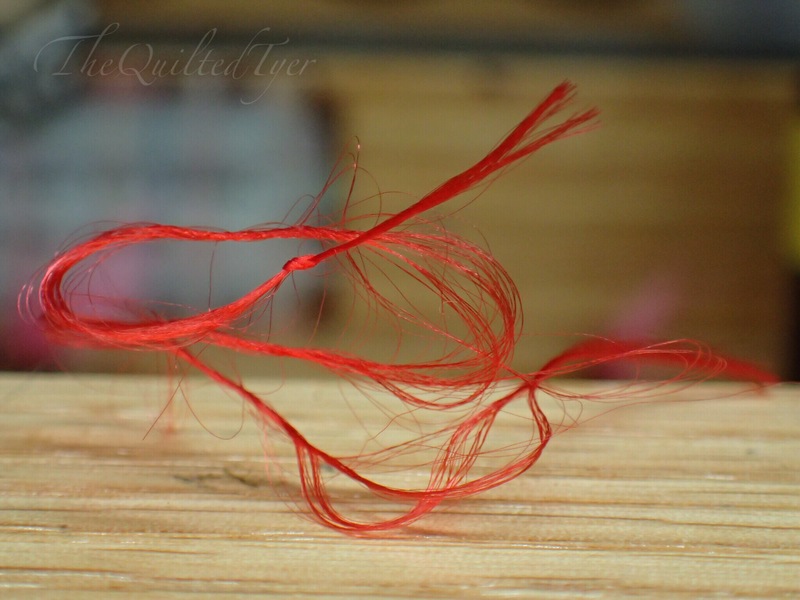 Not necessarily meaning every SINGLE strand, just as in two or 4 all wound together on a spool as opposed to one. 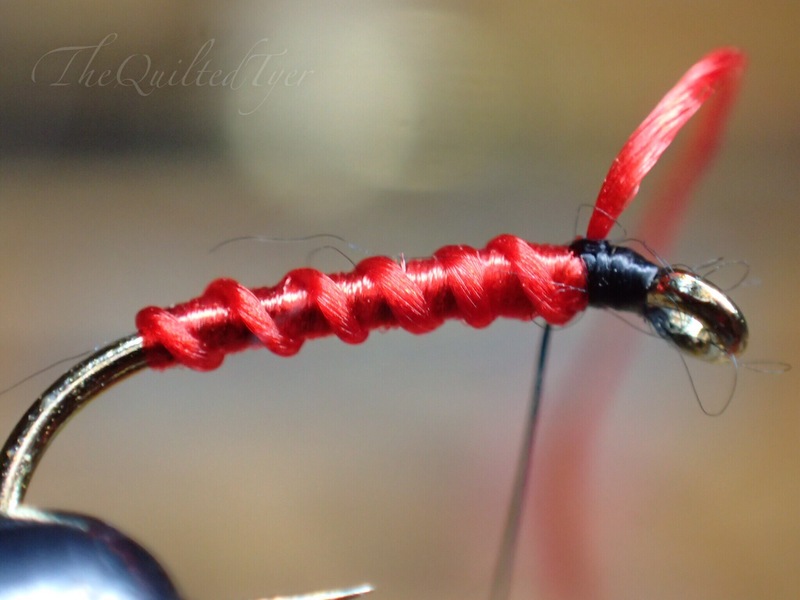 Example: If one is always the size of one, then they basically took two, wound them together and called it 2strand. 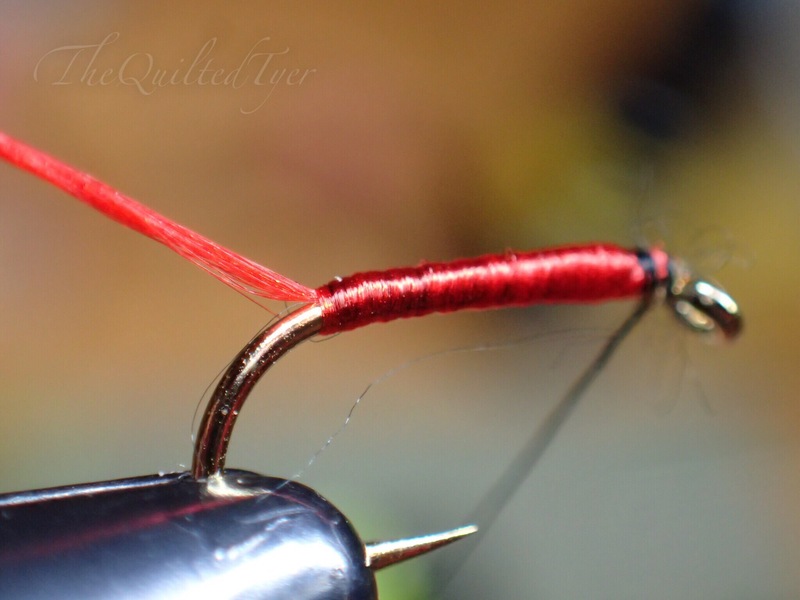 This list below is the way I like to use floss,and it does vary depending on what you are tying, how you like to tie, ect. So adjust this for yourself and your techniques. 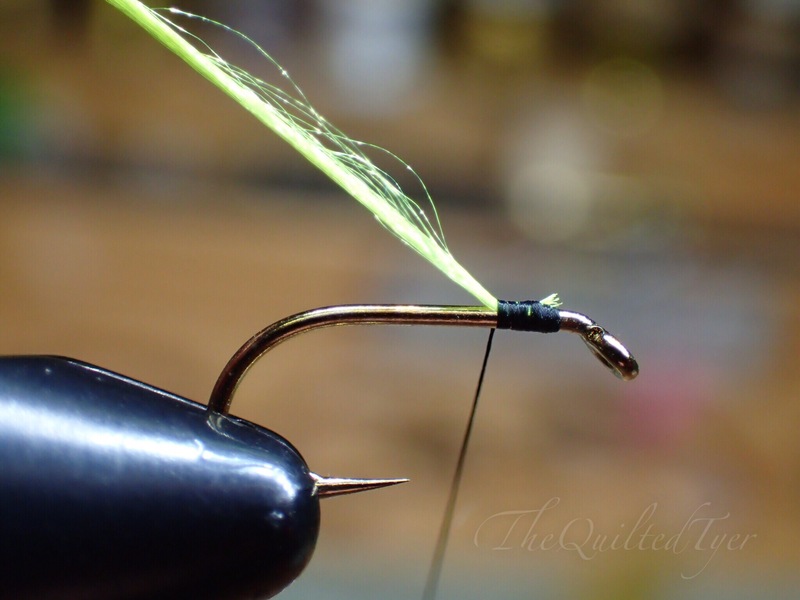 Single strand: One strand of floss used for small flies, and soft hackles. 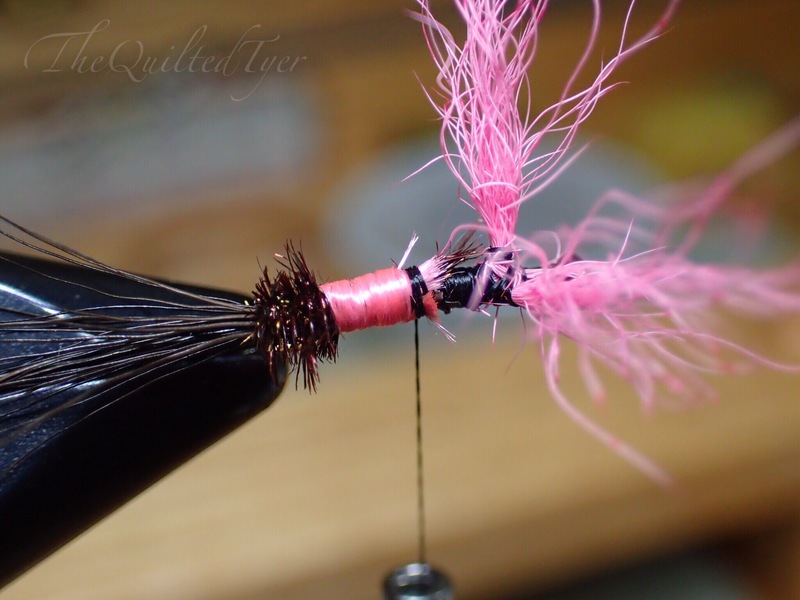 Great if you are tying multiple flies since the spool can be used on a bobbin. 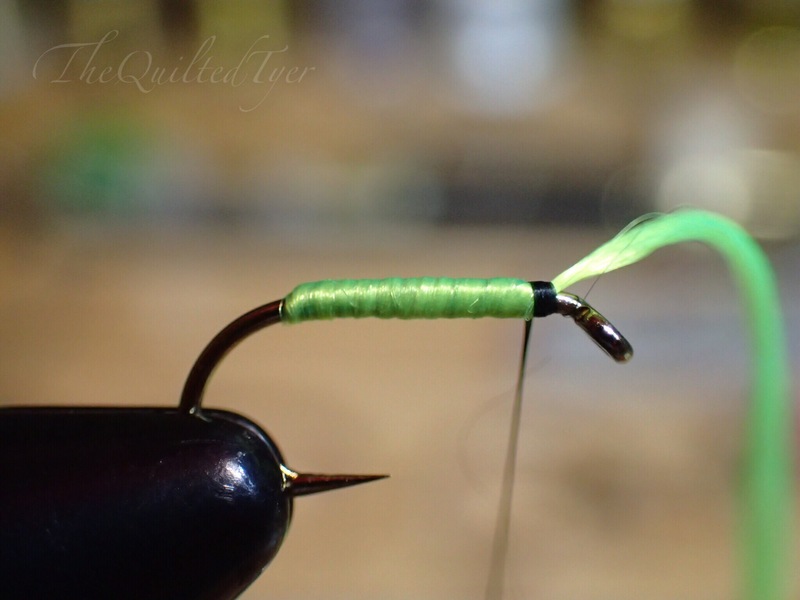 There’s also a four ply/four strand which I end up splitting anyway, unless I am tying massive hairwing streamers for lakes. Give it one more chance! 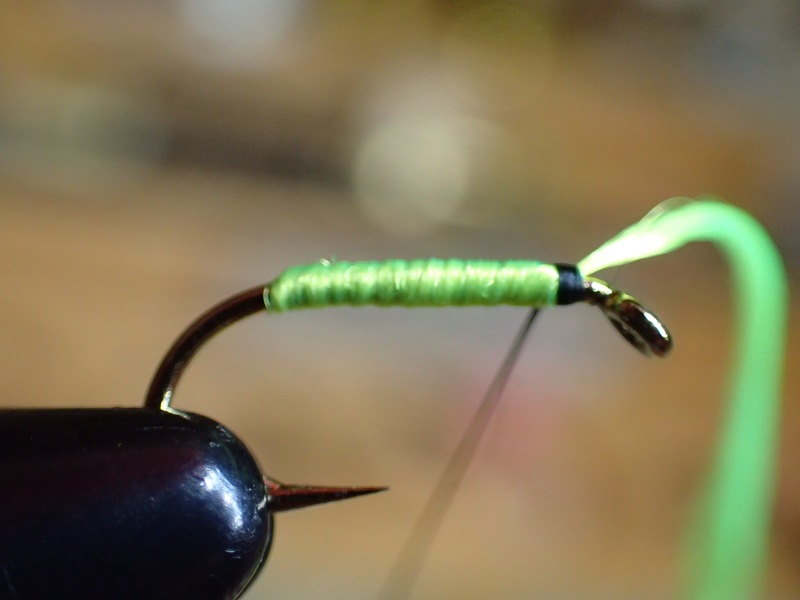 Not realizing how much floss you currently have left as you wrap the material around the hook is a common problem, so what I like to do is to keep that from happening. 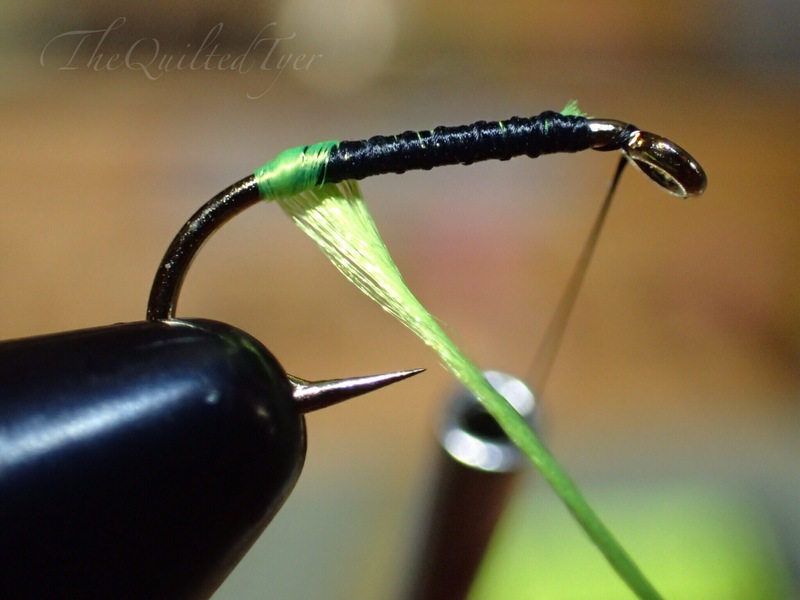 By tying an overhand not in the end of the floss. 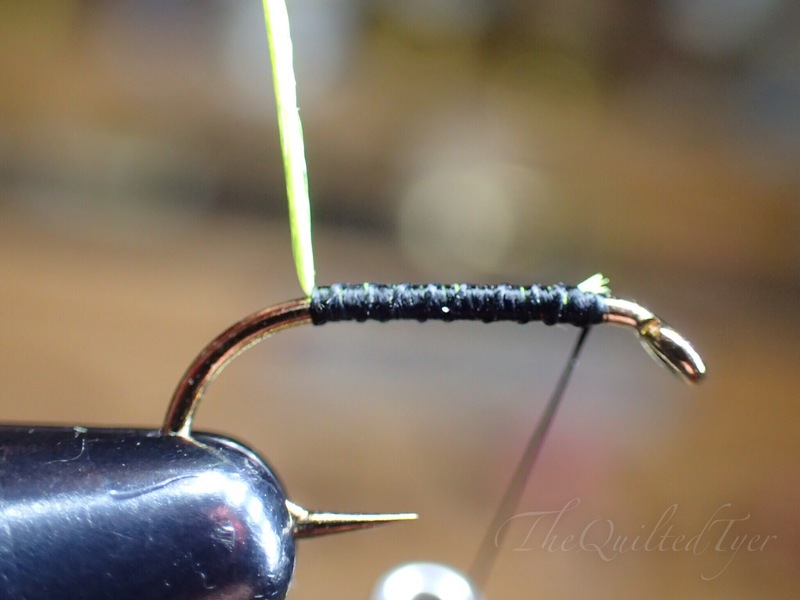 First thing you want to do is pull a length of floss but keep it attached to the spool for now. 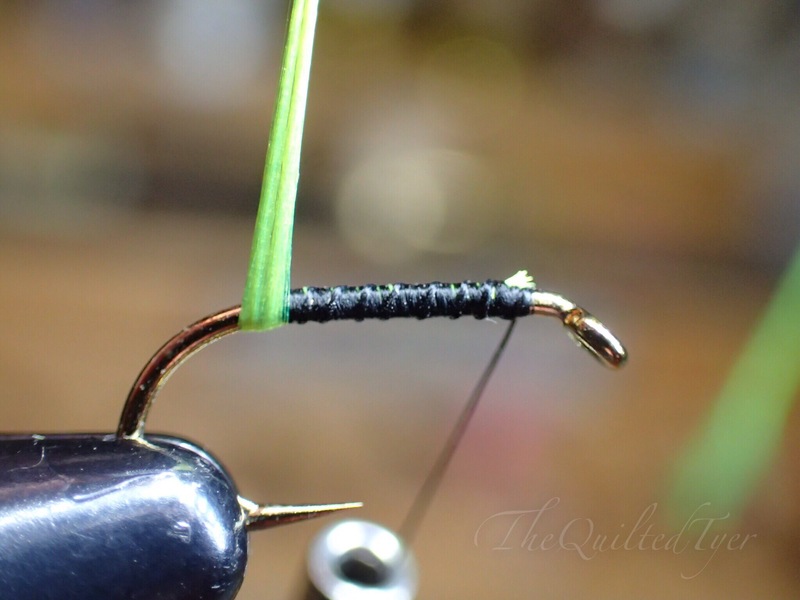 Now tie an overhand knot in the end. By doing this, every time you wrap around and smooth out the floss like a ribbon you don’t have to worry about it slipping through your fingers at the end because you now have a stopper or a warning system so to speak, to keep your hands from sliding off. Once your get to where the floss is running low you can rest easy knowing you will be warned! That knot will stop you from letting go. 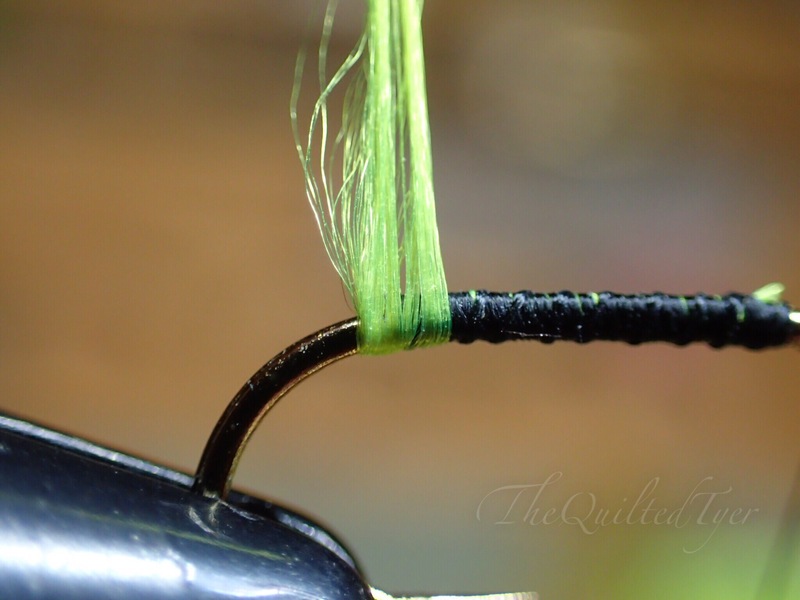 Also whats great about this, is that when you are done with that material; lets say you cut enough for two flies and need to stop before the second, you can leave it on the bench and not have to worry that It is going to split into a few strands or create a knot. Here we see a mess, The aftermath of cutting off your excess materials after making a Floss body. Normally this would be a pain to deal with. But! 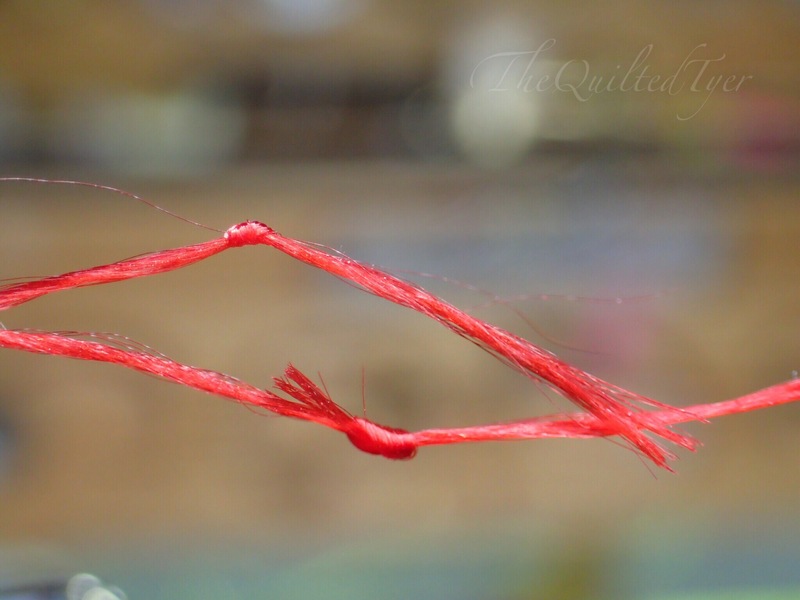 because of the knot in the end..
That is not the case anymore! 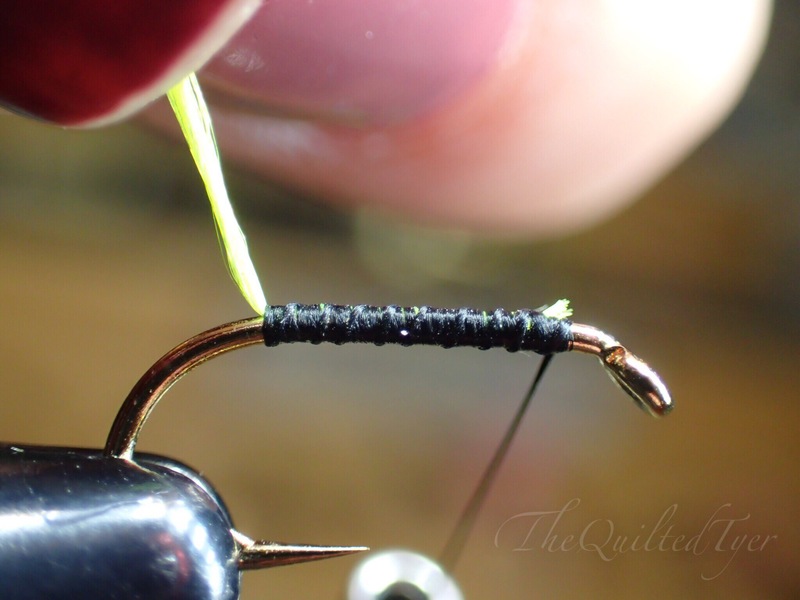 All you have to do is grab that knotted end and slide your fingers over the material and smooth it back out and tie another fly. Sometimes I have three or four different colors in a small pile on the side of my bench, all knots in the end, ready to go with no wasted material. 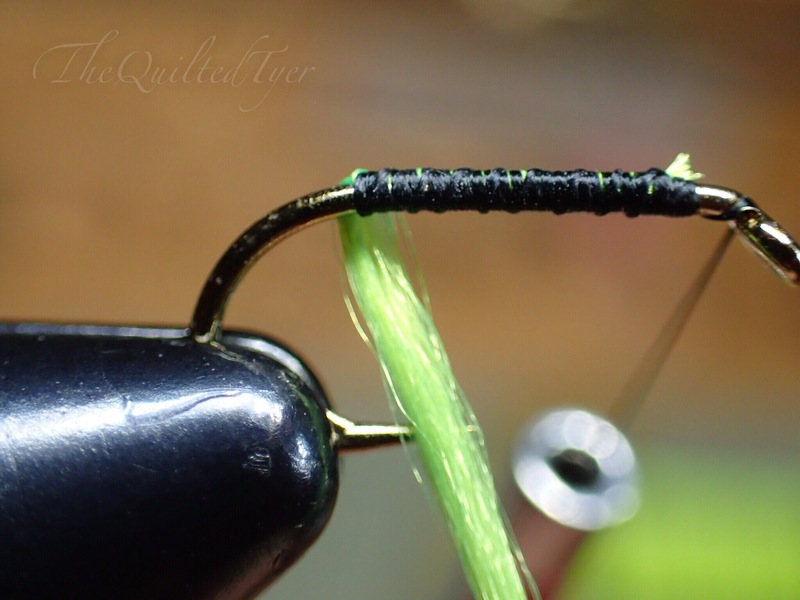 We are pretty accustomed to putting down a base layer of thread before tying in material, but is not always the case with floss since it will bulk up that body even more. 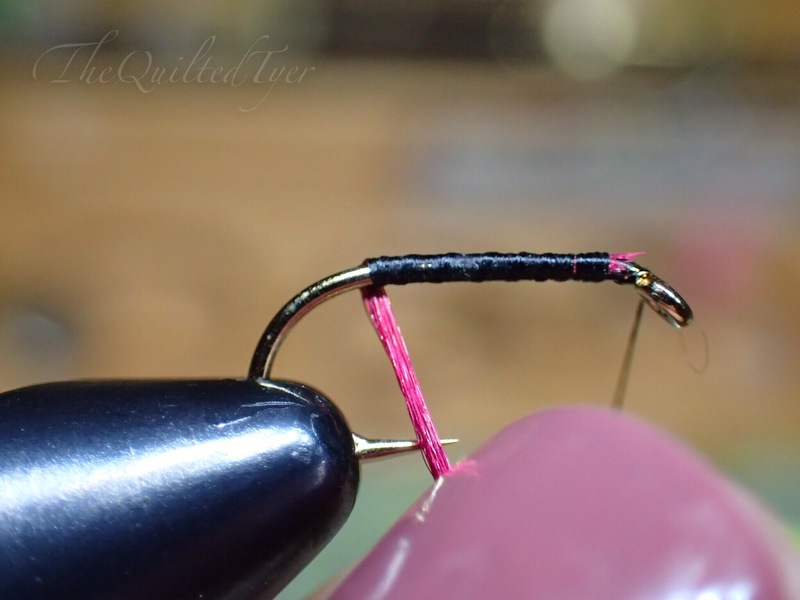 So one way to help avoid the material slippage is using one loose wrap, then tightening it down and gently pulling the material back towards the hook bend. Pull it back to the length that you need in order to cover the waste ends. 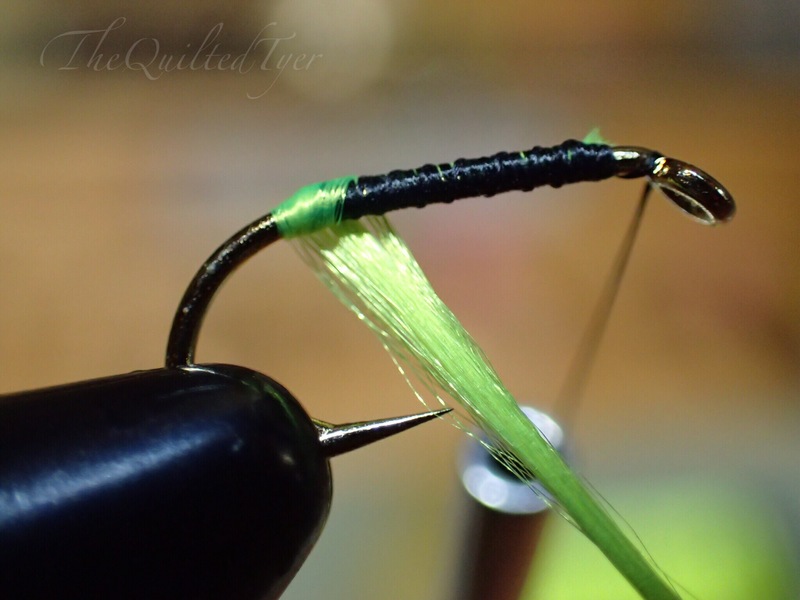 One loose wrap to position it, then pull to tighten. Because as you keep tension on it, you are going to start pulling back. Now that we’ve seen how we hope it turns out, and a few tips to get you started, let’s get into what happens when it goes wrong and why. One reason you may be having this problem is that you may be using too many strands of floss. Where you only need one, you may be using two. In this case its exactly what I did. 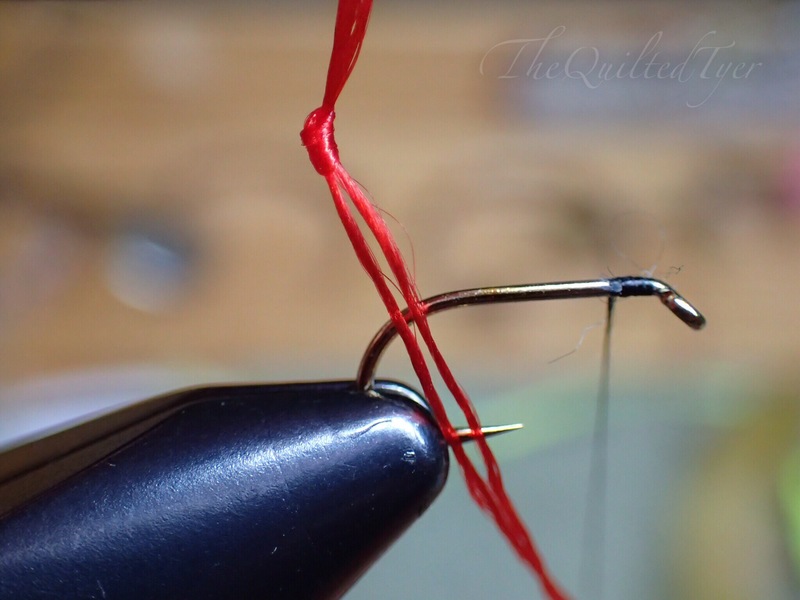 Run that bodkin from knot to tip to create two strands. 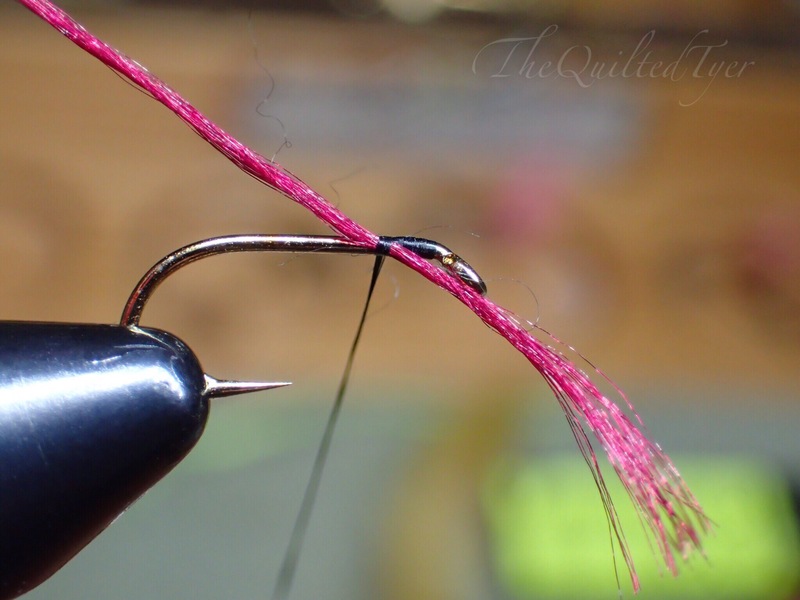 Insert the bodkin near the knot where it “looks like it probably splits” haha trust me it works. 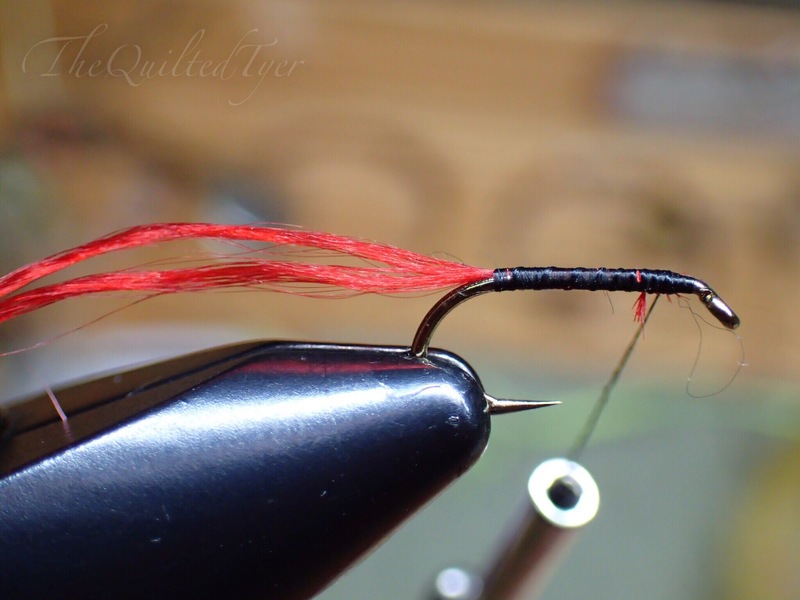 Then slide that bodkin twoards the cut end. It’ll split it because its technically split already, its just spooled. Separating 4 strand? that stuff tends to split itself IMMEDIATELY after unspooling it. which is where the knot in the end comes in veryyyy handy. 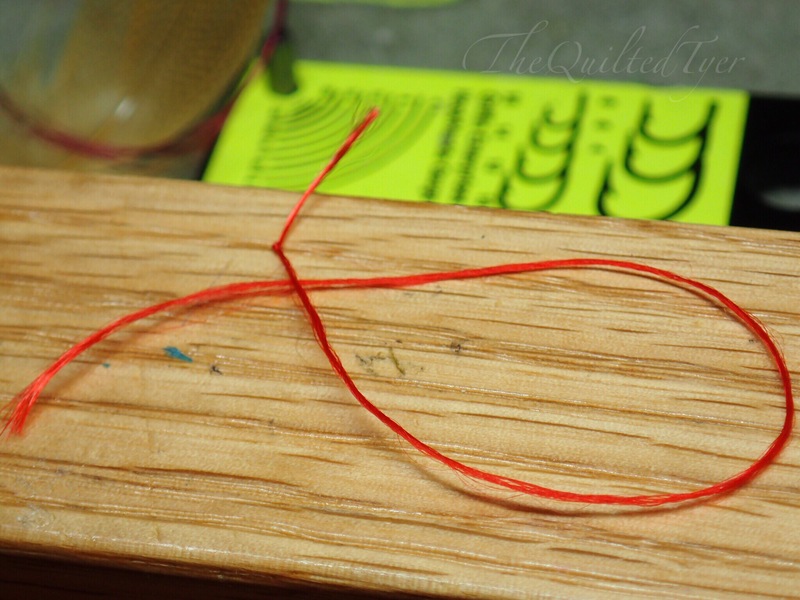 Ok so After you have a completely split the floss from the knot to the end, you have two choices here. 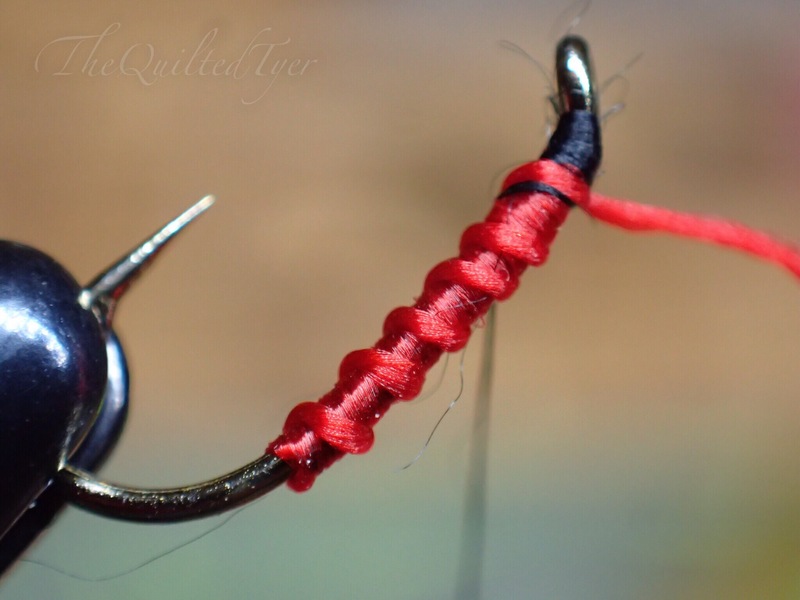 You can either just tie in one strand while leaving the other one hanging down. By doing this you can also snip that one off safely and toss it a side to use another day. Let’s get into what you have all been so patiently waiting for, now that you have finished reading through these caffeine infused ramblings.. 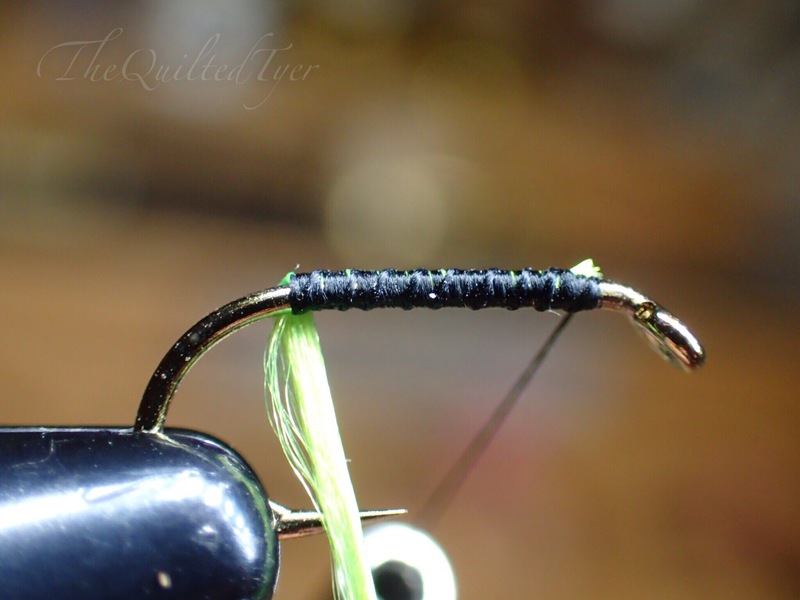 Tie in floss, wrap over it toward the back then bring that thread to the front. Grab that floss and hold it vertical. Uh oh.. Is it splaying out? Need to smooth it? 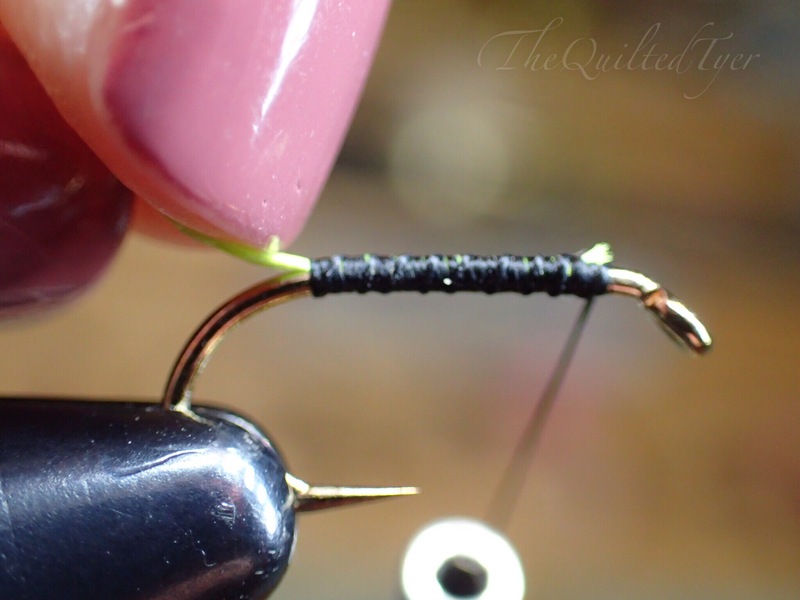 Using your fingers, grab that floss as close to the hook as possible and squeeze it. Then run it through your two fingers as you bring them to the end. This will flatten it out like a ribbon. 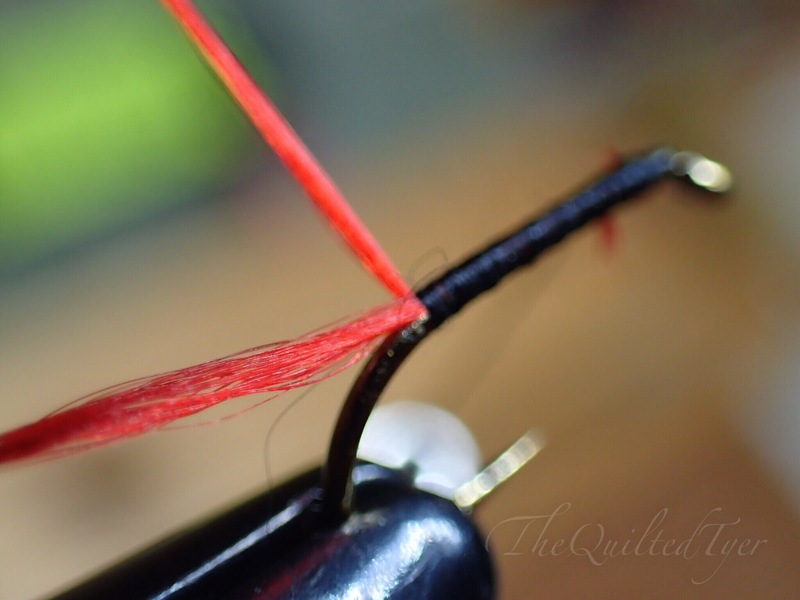 By pinching and pulling you have now realigned the strands and they will straighten out. But keep an eye out..! Rememeber, if it is going to slip or separate.. this would be the time that it is going to do so, It will do it as you come back under the hook and toward you. 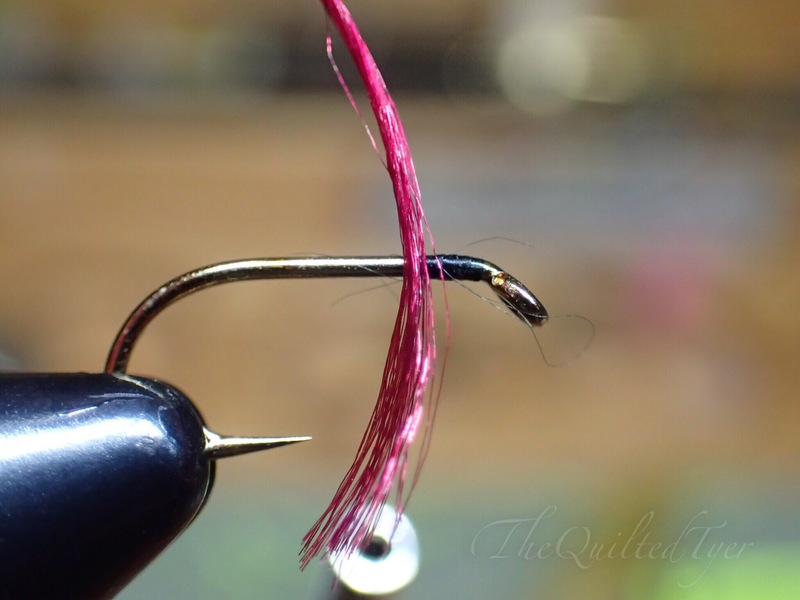 Here’s where you will learn the twist and smooth technique to get you the end result you are looking for. Once again smooth that floss out. Bring it up. As you bring it up, smooth it out before bringing it back down. You want that floss to lay flat like a ribbon. and back down and under… oh crap! wait! waittt! See whats happening? Its widening, and that will equal slipping. keep twisting! But dont twist it all the way. just enough to keep those unruly strands in place. 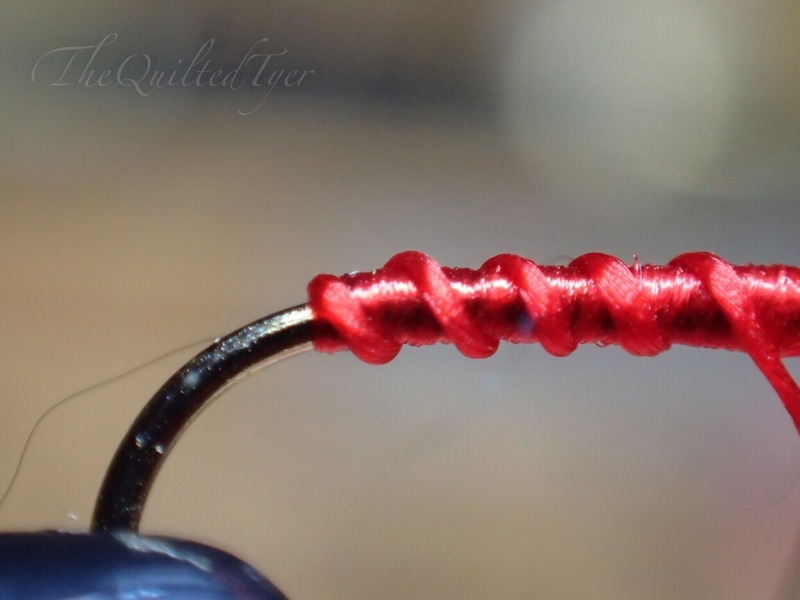 Twisting too much will create a ribbing. Which I will show you how to do later.. on purpose. Thats it! Thats all there is to “The smooth up and twist down” technique. Repeat it. 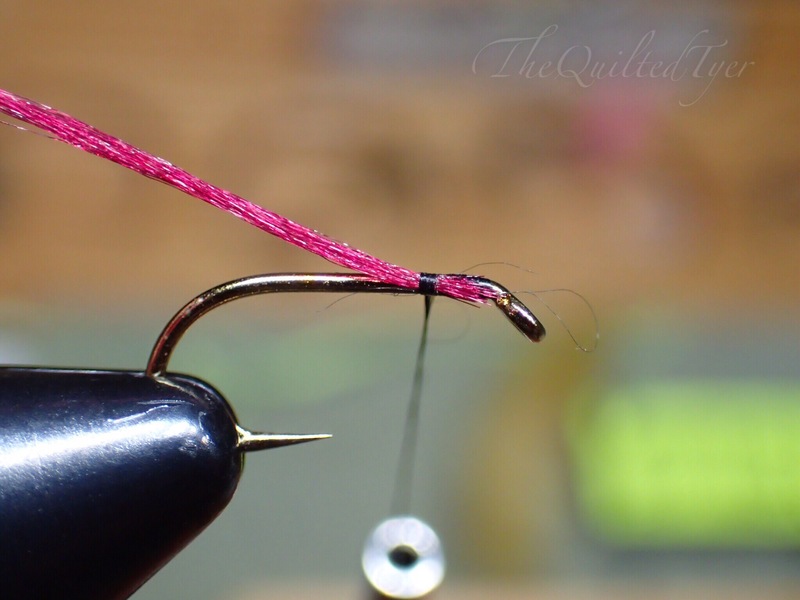 Until you get to the eye of the hook, and that whole way is its going to be a repeat battle between” smoothing up and twisting down”. 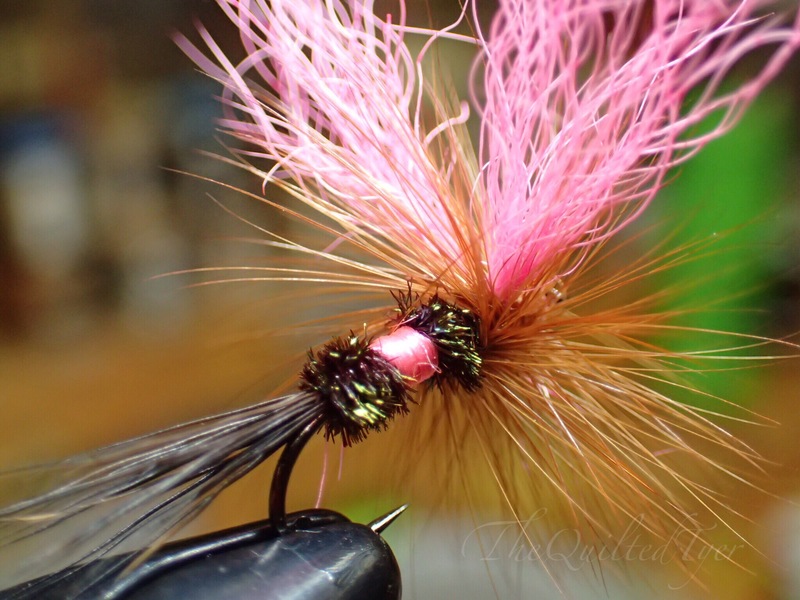 Yes, I know it seems like a lot right now, but once you get the hang of it it is so quick and you’ll love the way your flies look. And you will continue those two steps..
Until you reach the tie off point. I don’t know. Does it? You tell me, let’s take a look. Now with that being said let’s see how the body turns out. 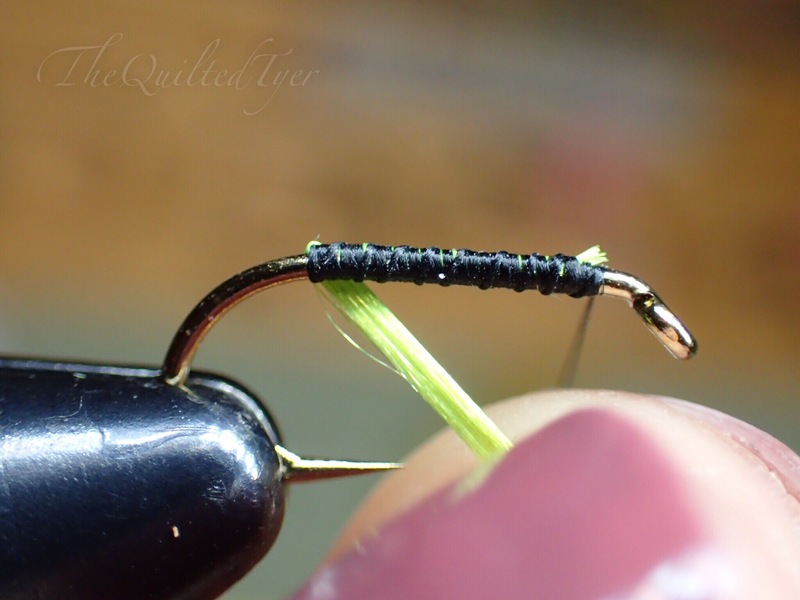 Even with that I recommend just using one strand although I tend to use two on my larger Wulffs. 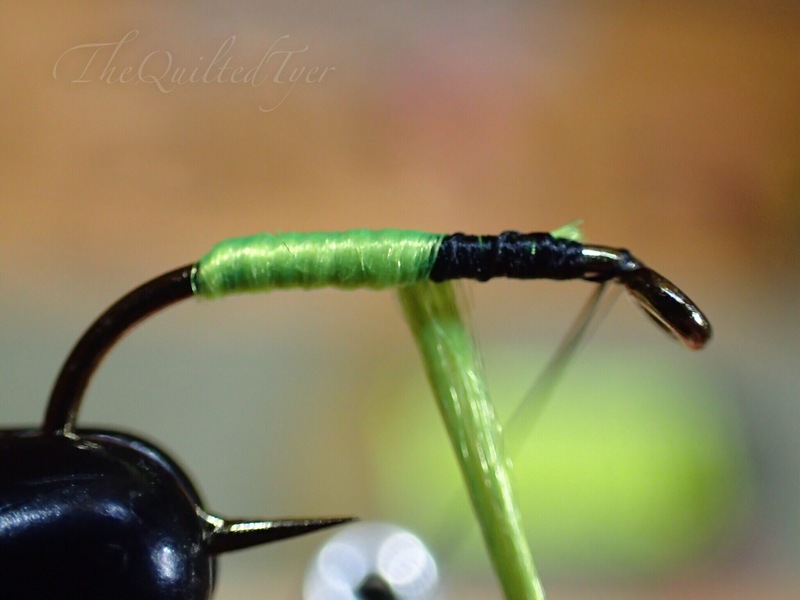 With This technique you will be wrapping back and then forward to tie off. 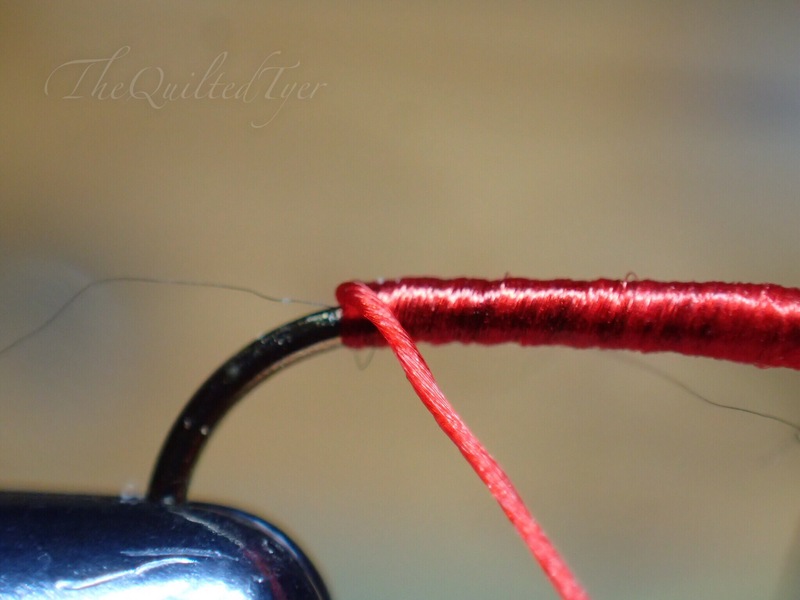 Tie the two strands with the cut end facing the bend of the hook. I prefer to use two of them, but like I said, adjust this to your own preferences. Now ‘smooth up and twist down” as you wrap back towards the hook bend. 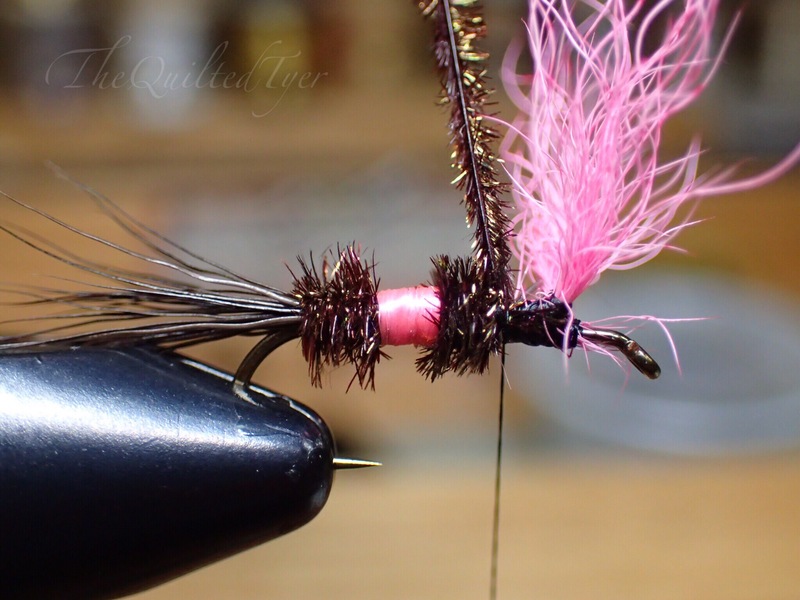 Stop just before the next material tie in (normally I use one strand of herl which I will show in a later post) and Wrap the floss over itself and tie it off. 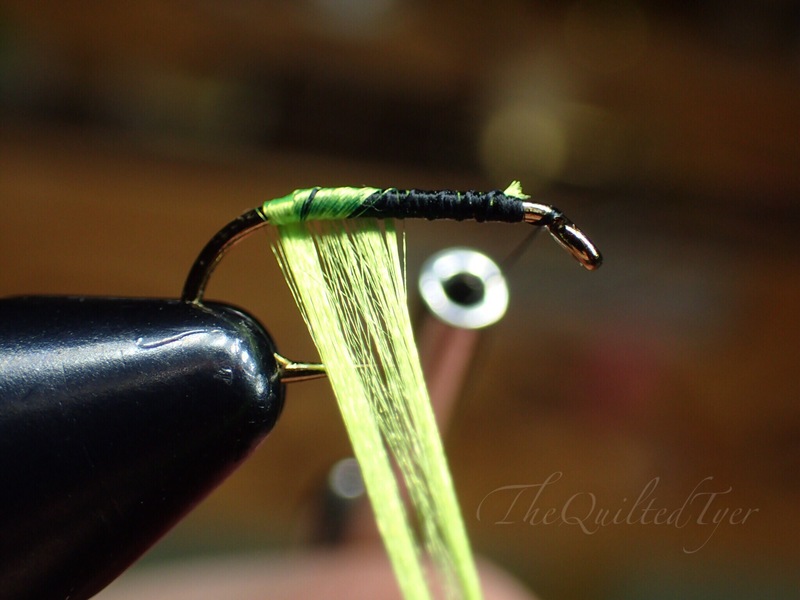 One fun thing I like to do when I’m tying with 2 strand floss, especially for midges is I tie with two strands; but I use one for a body and one for ribbing. 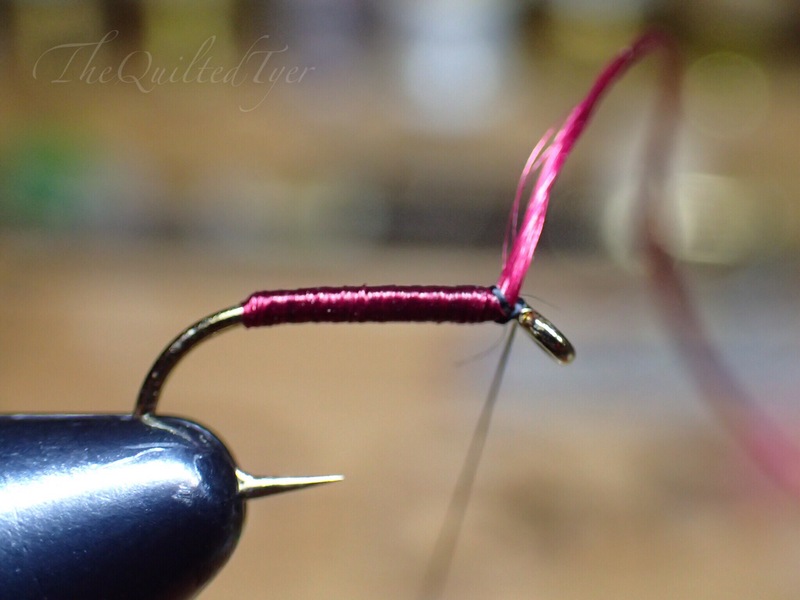 I recommend you figure out which strand is positioned straight/better to wrap a cleaner, flatter under-body, without creating that bump in the end before wrapping forward. You’ll be able to tell as soon as you begin. 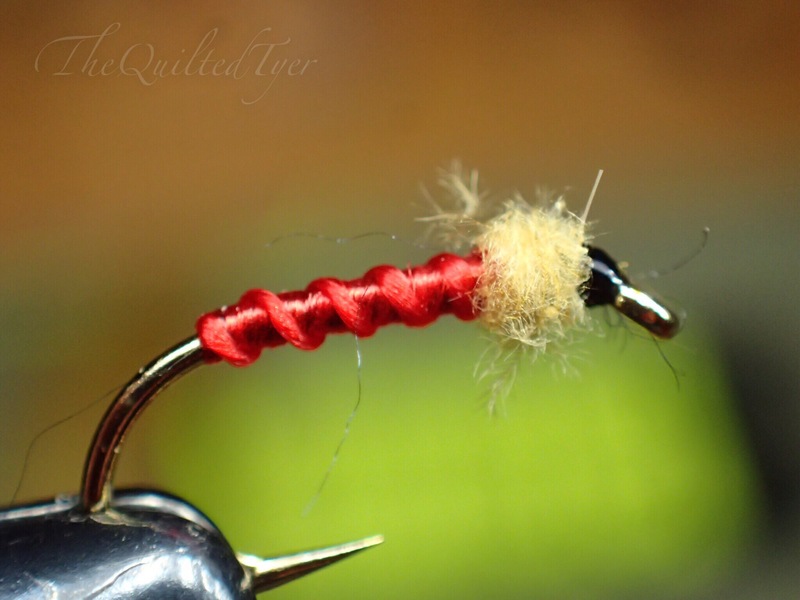 Once you have figured it out, wrap forward that one strand and tie off. Now..Heres where the tricky part comes in. Grab that second strand and twist. I dont mean a little. i mean TWIST it! 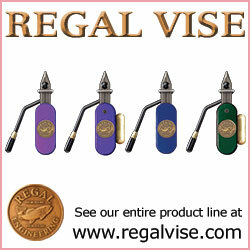 If you are planning to use a different color rib, heres where you would take a permanent marker such as a prisma color and color this twist in black. 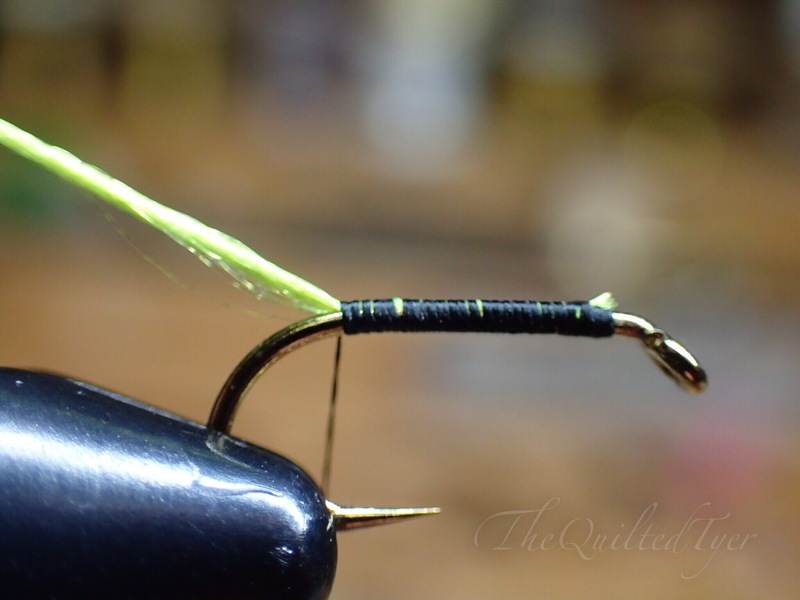 Then when you wrap it around the body you have an even darker segmentation. If not? Just continue. and KEEP that tension!! Remember this is not a necessity, this is just something I like to do. 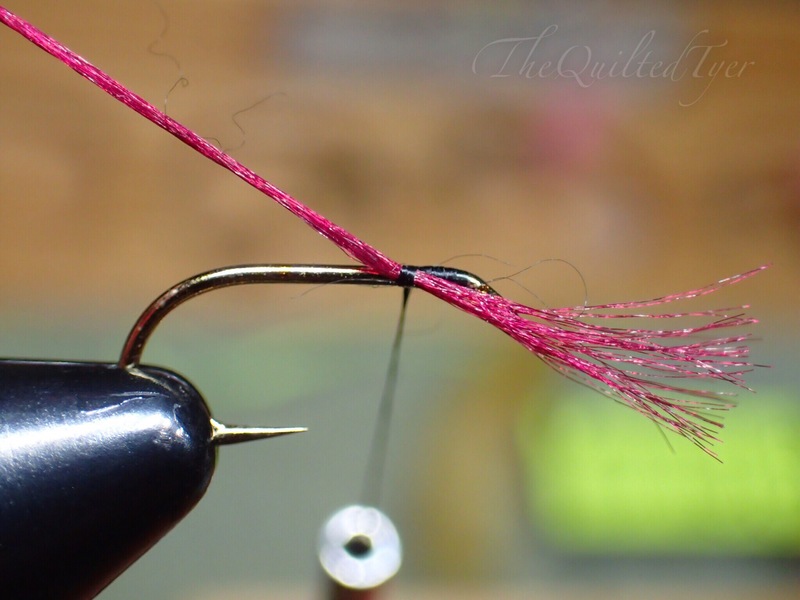 It does take a bit of patience and tension constantly kept on the Floss in order to keep the twist all the way around. Its a ton of fun. Add a drop of head cement to the body, dubbing and you’re good to go! So If you are like my husband who is a contractor, mixing concrete with his bare hands and ripping siding off houses 😂 or you are in any line of business where your hands are giving you issues with fraying floss you can do a few things. I have heard some guys at shows tell me they have worn gloves, used lotion, a pumice stone ect. if they are in dire need to use floss but cant. and In that case you can try to use a more durable substitute! This is another good substitute! 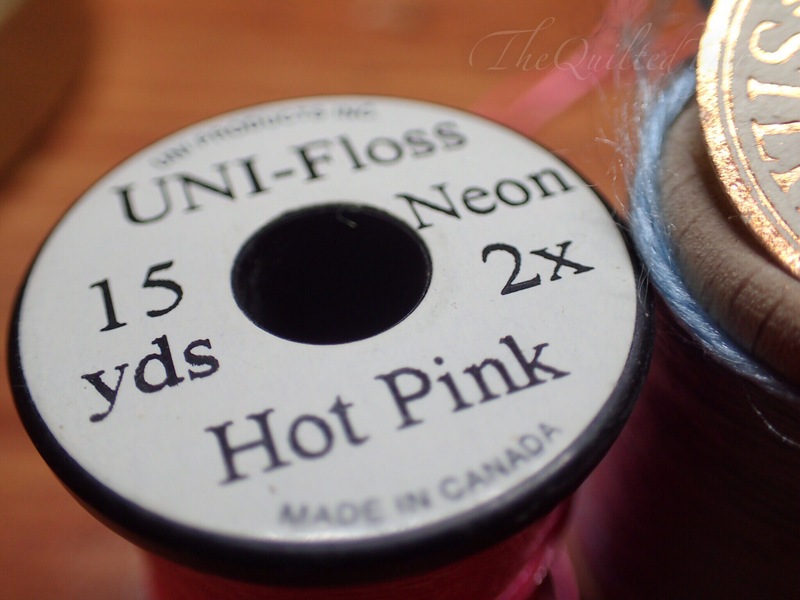 My husband has tried the Uni stretch floss but it still frays for him so I would recommend you experiment with different materials. Trial and error is what learning is all about. I hope this tutorial has helped with a material that you may be avoiding once again for one reason or another. 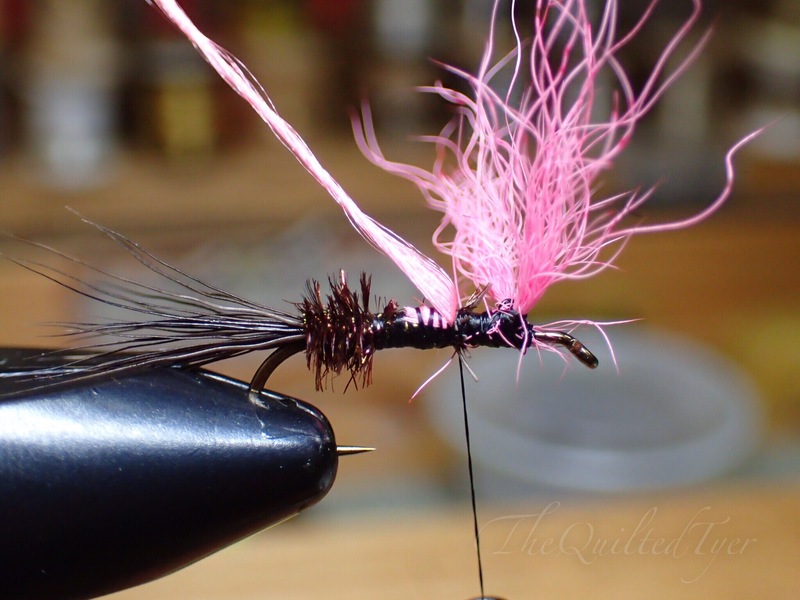 Happy tying and I hope everyone had a good Thanksgiving!